Located at the intersection of Asia and the Middle East, Afghanistan has been strategically important for thousands of years. Its ancient trade routes and strategic position between India, Inner Asia, China, Persia and beyond has meant the region has been subject to frequent invasions. Modern Afghanistan is a culturally and ethnically diverse country, but one divided by conﬂict, political instability and by mass displacements of its people. Jonathan L. Lee places the current conﬂict in Afghanistan in its historical context and challenges many of the West’s preconceived ideas about the country. 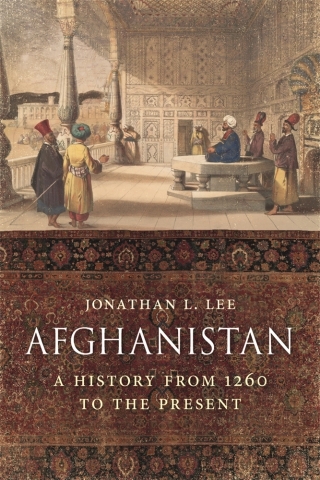 Lee chronicles the region’s monarchic rules and the Durrani dynasty, focusing on the reigns of each ruler and their efforts to balance tribal, ethnic, regional and religious factions, moving on to the struggle for social and constitutional reform and the rise of Islamic and Communist factions. He offers new cultural and political insights from Persian histories, the memoirs of Afghan government ofﬁcials, British government and India Ofﬁce archives, recently released CIA reports and WikiLeaks documents. Lee also sheds new light on the country’s foreign relations, its internal power struggles and the impact of foreign military interventions such as the ‘War on Terror’. 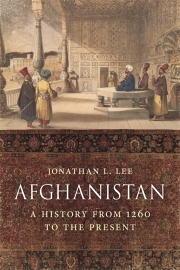 Jonathan L. Lee is a social and cultural historian and a leading authority on the history of Afghanistan. He has lived for many years in Afghanistan and is a Fellow of both the Royal Asiatic Society and the British Institute of Persian Studies, and formerly a Fellow of the British Institute of Afghan Studies. His previous books include The Journals of Edward Stirling in Persia and Afghanistan, 1828–29 (1991), The ‘Ancient Supremacy’, Bukhara, Afghanistan and the Battle for Balkh, 1732–1901 (1996) and Amazing Wonders of Afghanistan (2014).